Hi. I’m Nolan. And I love playing cards on the road. You’ll see what I mean in just a minute. Life on the road often means... well being on the road and in those moments or hours you are riding the rails or cruising across the Aegean you're left to your own devices. You can read a book, look over the pictures from your last fantastic location or even just sit there drumming your fingers on the table in front of you. What you could also do is look directly across this same table, find a friend, make a friend, whatever, and play a game. Wherever you are in the world, you can find a deck of cards. Fact, there is a gift shop at the South Pole. So if you don't have a deck handy it is almost guaranteed there is one nearby. Playing cards date all the way back to 9th century China and though these games don't go as far back as the Tang Dynasty they are some of our favorite ways to past the time with friends. If you're not shy about making some noise, Spit is a fast-moving game for two sure to wake you and neighbors up from a long haul on the ferry. To play Spit each player has their own deck and begins by placing their top four cards face up in a row in front of them. You'll want some empty space in the middle of the table. 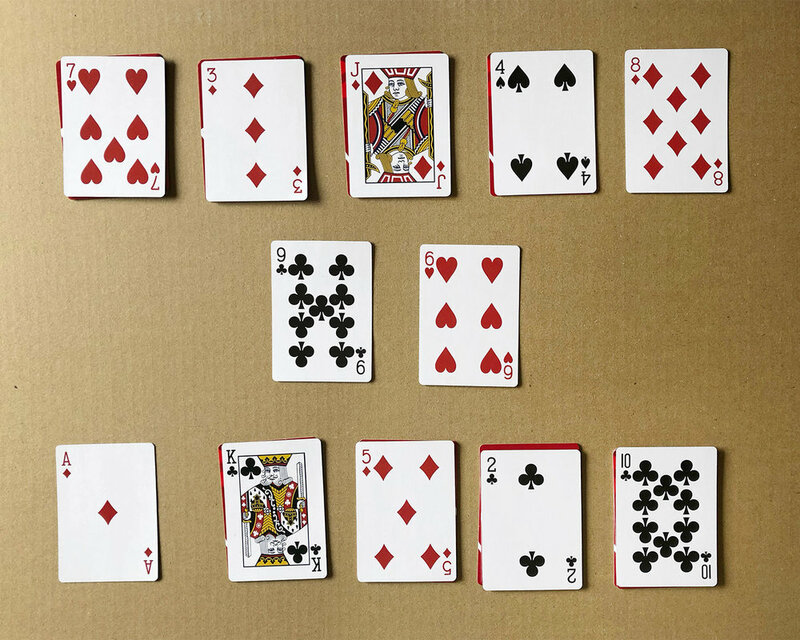 Players then hold the remainder of their deck in one of their hands during play. Once set up there are no turns, everyone plays at the same time and starts when one of them says "spit." Immediately each player takes the top card from their deck and plays it to the center of the table. These first cards should be far away from each other, making two play piles. The players begin playing their cards from their rows onto the center piles. The row is of four is replenished but each player's own deck in their hand. A card can be played only if it is one higher or one lower than the card on the top of the pile. The suit does not matter, and an ace can be played high or low. When one player has played all their cards, they must continue to play using only the cards left in their row. When that player "goes out" by playing the last card from their row, they win. If both players run out their decks and get stuck before going out, the player with the fewest cards left wins. Challenge: Try playing with your non-dominant hand. Hint: Don't ask me or Sasha in person, we have our own rules. This is a high-speed game which either finishes quickly or could take you all night. It's all in the deal. Divide the deck evenly, with each player receiving 26 cards, dealt one at a time, face down. Anyone may deal first. Each player places their stack of cards face down, in front of them. Each player turns up a card at the same time and the player with the higher card takes both cards and puts them, face down, on the bottom of their stack. If the cards are the same rank, this means War! Each player turns up one card face down and one card face up. 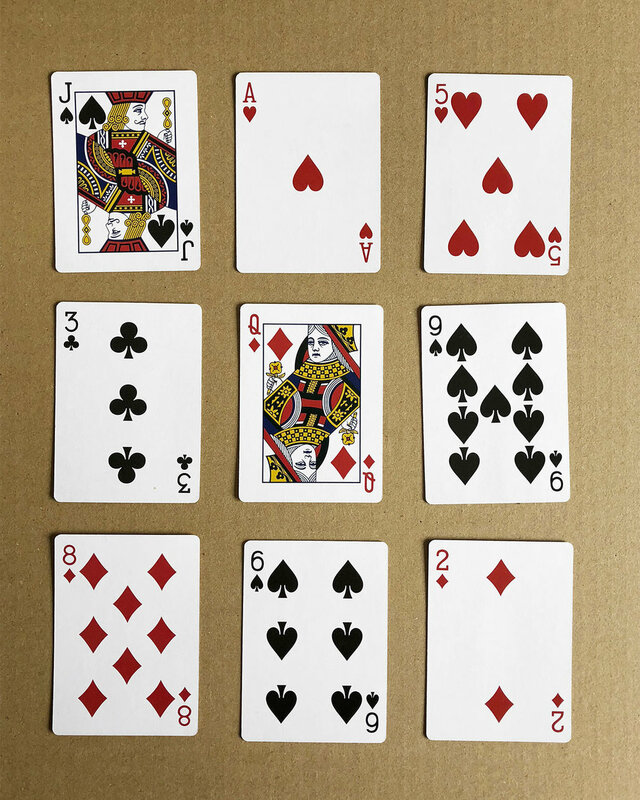 The player with the higher cards takes both piles (six cards). If the turned-up cards are again the same rank, each player places another card face down and turns another card face up. The player with the higher card takes all 10 cards, and so on. The game ends only when one player has won all the cards but is there really ever an end? Welcome to the Death Box. This anxiety inducing, panic attack causing, stress bomb was introduced to us by one of our favorite travel mates, Jack Murphy, this year on our National Parks trip. It has since made an appearance on every trip thereafter. The brutality of this game is its simplicity. First, you build the box by laying out nine cards, three by three, on the table, face up. Then you go around the table asking each person to pick a card on the table and guess whether the next card in the remaining deck is higher, lower or the same. Guess right and the card is placed face up on top of the previous card, building a pile. Guess wrong and the card is turned over face down, dead, and the box just got smaller. The goal is to go through the remaining deck before all of the cards in the box are turned over. This is just the top of the mountain when it comes to card games. We didn't even go over Egyptian Rat Screw, Whist, Knock Rummy, Anaconda, Lazy Donkey... ok the last one isn't actually a game, its a beer, but there are so many more games out there, these are just some of our favorites. Let us know some of your favorite card games in a comment down below, or even better, teach us on your next adventure!